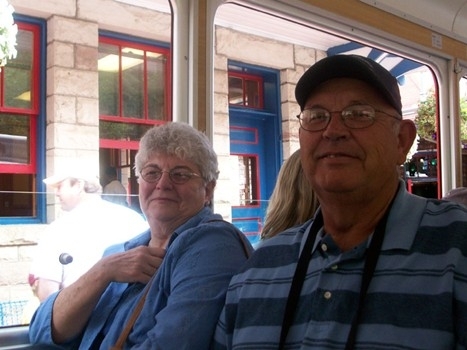 When the Association voted Colorado Springs as the location for the 2009 reunion, our tenth, Nick and Mary Morestad, who live in Colorado, volunteered to coordinate. Vice president Chip Chapin was the officer assigned to assist. All have made great efforts to make sure 2009 is another reunion that all who attend will remember. As of this date, December 29th, 2008, no contract has been signed but it appears the dates will be August 23rd to the 28th with the Antlers Hilton as the apparent host hotel. As usual, special room rates for the reunion will be extended for two days before and two days after for those who would like to extend their stays. Once everything is etched in stone, which we hope to have done sometime in early January, registration forms and on-line hotel reservations will be available on our web site. Please check back in mid-January for confirmed dates and details. Never hesitate to contact any of the officers with questions or comments. Hope everyone had a happy and safe holiday season. P.S. Our web site is in the process of getting an overhaul and there will be many new additions such as minutes, bylaws, financial statements, access to the on-line ships store, plus other new options. If you have any ideas or suggestions, please contact myself or Chip Chapin at anytime. P.S.S. Have you paid your 2009 dues as yet? Remember it is $10 a year or $100 for a lifetime membership. Please send all dues payments to Bill Biller.